The Doru was designed by renowned knife maker Allen Elishewitz. 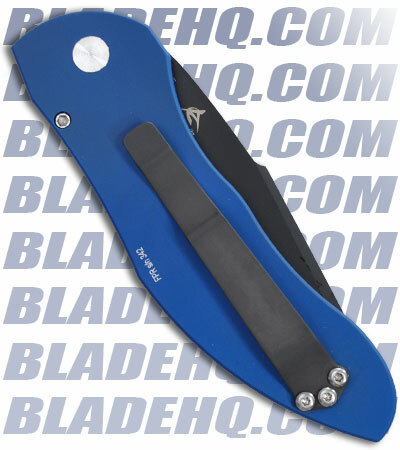 DLC black finished 154-CM blade (partially serrated) and a blue anodized aluminum handle. Pocket clip (tip up). The Doru is exceptionally comfortable and the construction & action are second to none. 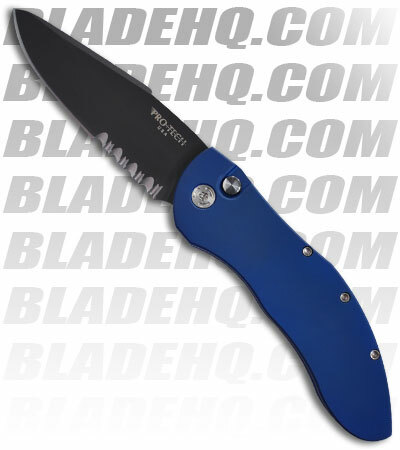 Includes Protech nylon sheath.